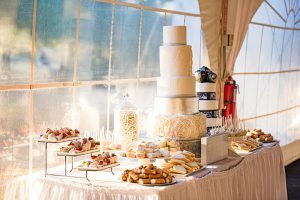 A custom dessert table can be the centerpiece of a party, and work beautifully to fill out the table around a custom cake. These treats can act as dessert and party favors rolled into one, and whether large or small, the tables always have a wow factor. Everything is customizable from your choice of treats and flavors, down to the theme, colors and set up. Simply tell us how many guests you’re expecting and we will create a variety of packages for your party size, for you to choose from. All stands/platters are available for you to rent to display your treats, and a Polkadot representative can set everything up on party day. All treats listed are also available by the dozen for regular orders without dessert table set up. ©2018 Polkadot Cake Shop. All Rights Reserved.